Mother of four, award-winning actress, and pro-life Republican in Los Angeles, Patricia Heaton is one of the most unusual and refreshing voices in Hollywood. Never one to shy away from controversial topics, Heaton has made a name for herself by excelling at her craft and raising eyebrows among her peers. Heaton is currently starring as a multi-tasking, working mother in ABC's new hit sitcom "The Middle" which tells the story of a middle-class Midwestern family through the eyes of the mother. Her hilariously realistic portrayal of much put-upon housewife Debra Barone in the hit show Everybody Loves Raymond garnered her six nominations and two Emmys for best actress in a sitcom. She was again nominated by her peers for her performance in Neil Simon's The Goodbye Girl, and has performed in numerous other TV and Film roles. Heaton's professional accomplishments don't end with her acting. She produced and starred in the romantic comedy The Engagement Ring for TNT, and produced the award-winning documentary The Bituminous Coal Queens of Pennsylvania which was directed by her husband, David Hunt. Their joint production company, Fourboys Films, was a producing partner with Walden Media on the feature film Amazing Race, the story of British abolitionist William Wilberforce. Heaton's talents as a humorist were on display in The New York Times best-selling autobiography Motherhood and Hollywood- How to Get a Job Like Mine. In it, she recounts her idyllic childhood in Cleveland, Ohio, her struggles to start a career in New York City, and her eventual success in Los Angeles. Her down-to-earth and self deprecating style garnered her great reviews and delighted her millions of fans. Heaton is not just known for her excellence as an actress and writer. Her deep faith and strong social conscience have prompted her to speak out on issues that are hot-button topics in Hollywood. Her stance as a feminist and a pro-life advocate have come together in her work with Feminists For Life, for whom she serves as honorary co-chairman. With FFL, Heaton has been raising the public's awareness about the Pro-Life history of the early suffragettes, and works to secure real choices for women with unexpected pregnancies through legislation, education and advocacy. A Democrat for most of her life, Heaton switched to the Republican Party because of her pro-life beliefs. Heaton served at the request of President Bush on his Council for Volunteerism, and lives out her commitment to serve through the many charities she supports, including Autism Speaks, The American Red Cross, World Vision, Compassion international, The Tuberousclerosis Society, The Every Child Foundation, Sparrows Gate Orphanage, and numerous other local, national and International organizations and causes. She is a highly sought-after charity emcee known for her eloquence and quick wit. Audiences enjoy Heaton's refreshing candor, her honesty, her humor and her willingness to tackle the tough topics facing people today. She speaks freely about the role her faith plays in her life, first as a Catholic and now as a Presbyterian. Her insights on religion, marriage, and motherhood, and her openness about balancing her career with raising her four sons make Heaton a fascinating, entertaining and heartwarming speaker. As a keynote speaker, Heaton makes an impression at corporate engagements because she delivers her arguments with intelligence and grace. 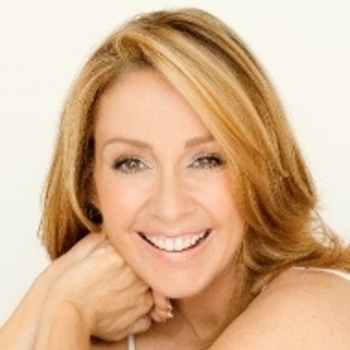 If you want to engage your audience with a celebrity speaker who brings a decidedly different opinion out of Hollywood, then there are few better choices that Patricia Heaton. She is an outstanding choice for conservative speaking events, fundraisers and keynote speeches.